Carnival has always been one of the Canary Islands’ most popular celebrations and a time when residents could forget their woes and the hardships they faced, indulging in a period of excesses before the start of Lent and the season of penance dictated by the Catholic Church. Carnival always ends just before the start of the 40 day season of Lent. Although the exact year that Carnival celebrations began in Arrecife, the island’s capital, is unknown, they would appear to date back to the 15th century and the times of the early conquerors. 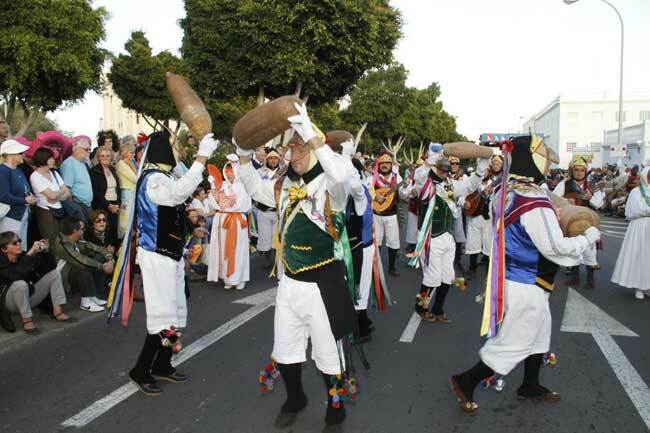 Despite the lack of documentary evidence, Lanzarote was the first island to be conquered and it is therefore believed that it boasts the oldest Carnival in the archipelago. Legend has it that residents would disguise themselves by blackening their faces with a burnt cork. Carnival celebrations as we know them today were restored in 1963, when a group of friends who called themselves ‘La Parranda Los Buches’ would parade around the streets singing traditional seafaring songs dressed up in special costumes with multi-coloured ribbons and wearing masks. For ten days each year, Lanzarote hosts countless parades and masked balls, making this the most fun-filled time of the year when everyone can let their hair down. The events included in the Carnival programme take place over two weeks. The first week features a series of competitions, the most popular of which is the murgas contest, when groups sing songs with lyrics that normally criticise the political class but which also include the general problems facing society. Normally packed with humour and irony, the lyrics are sung to the tunes of popular songs, accompanied by the pitos murgueros or kazoos each member of the group plays. 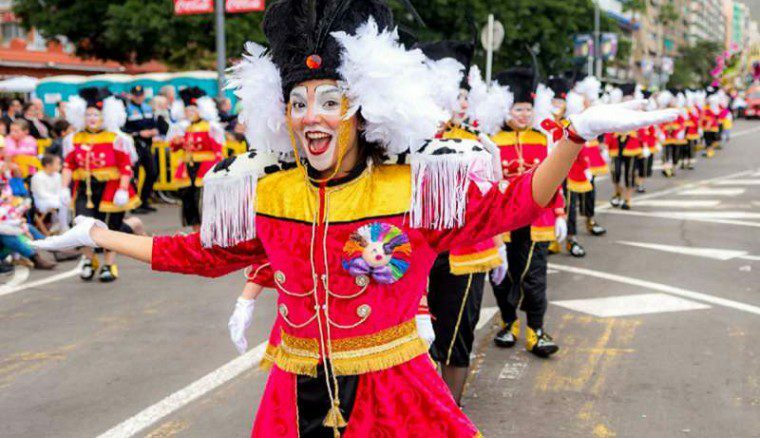 The second week sees a number of parades and events to choose the Carnival Queen who will represent the island at all the cultural events that are held over the following year. Carnival celebrations on Lanzarote are centred in its capital, Arrecife, although smaller events are also organised at this time in various parts of the island. Puerto del Carmen and Playa Blanca host ‘Los Cosos’, better known as the ‘Cabalgata’. Essentially this is a procession of floats and musical groups accompanied by children and young people who dress up and parade around the streets, having the time of their lives. It is held on the last day of Carnival, which this year is 4th March. 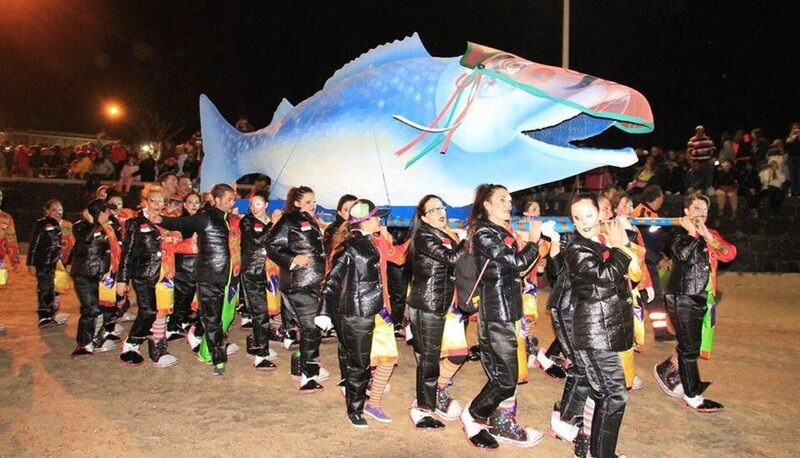 During the ten days of celebrations, Arrecife provides the setting for a wide range of entertainment for all ages, from fancy dress contests, normally held during the day so that all the family can share the fun, to musical parades and contests such as the murgas and comparsas. Most of the events take place on a stage set up on the Avenida Marítima as well as the exhibition site in the island’s capital. Two days after the Grand Parade or ‘El Coso’, the ‘burial of the sardine’ takes place. This event represents the symbolic burial of the past and social customs, enabling a brand new, transformed society to rise triumphantly from its ashes. In this case the parade is reminiscent of a funeral procession, mourning the end of the most fun-filled festival of the year. It normally consists of a carnival-type parody of a funeral cortege and ends with the burning of the sardine and a return to order and normality after 10 days of frenzied partying. If you’re on the island during Carnival time, make sure you take the opportunity to enjoy all the music, colour and atmosphere that characterises this festival.